As of January, 2015 and the launch of the Express Entry selection system for Canadian immigration, two types of provincial nomination certificate have been defined, namely 'base' and 'enhanced' provincial nominations. The role played by Canadian provinces within Canadian immigration policy has changed significantly. The most significant adjustment has been with respect to how a portion of the Provincial Nominee Programs (PNPs) are now aligned with the federal Express Entry system. Most Canadian provinces and territories are able to nominate a certain number of candidates through the Express Entry system to meet local and provincial labour market needs. These portions of the PNPs are known as 'enhanced' nominations. Candidates in the Express Entry pool who obtain a nomination from a province are awarded 600 points under the Comprehensive Ranking System, out of a possible total of 1,200. When these additional points are added to a candidate’s human capital and skills transferability points, it will result in an Invitation To Apply for permanent residence being issued to the candidate at a subsequent draw from the Express Entry pool. Provinces and territories are also able to make nominations under their regular, or 'base', PNP streams outside the Express Entry system. Provincial and territorial nominations made outside the Express Entry system are subject to particular PNP streams and processing standards. An individual who successfully obtains a base nomination from a province will not be awarded 600 points under the Comprehensive Ranking System. 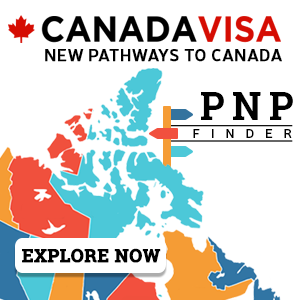 Individuals who wish to immigrate to Canada, but who may not be eligible to enter the Express Entry pool, may still be able to make an application to immigrate to Canada through a base PNP stream, as long as they are eligible for the particular PNP. Base nominations may therefore provide Canadian immigration opportunities to individuals who are not eligible for Express Entry. Candidates who receive a base nomination have their applications processed outside Express Entry. The route from a successful base nomination to permanent residence is a two-step process. Candidates must first satisfy the criteria for a PNP stream, apply, and receive a nomination certificate. With this certificate in hand, candidates may apply to the federal government, which will oversee the necessary medical and security background checks before granting permanent resident status.